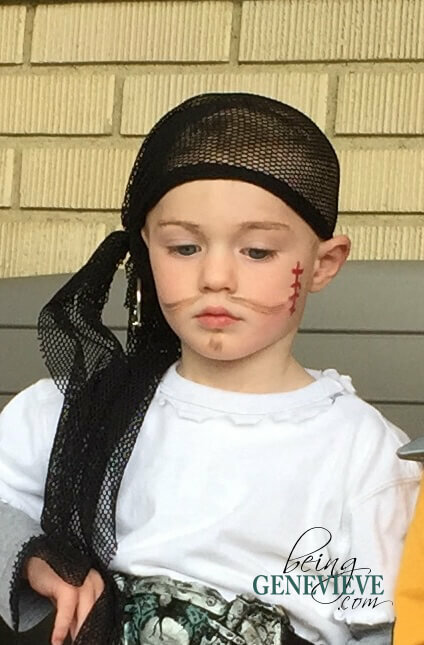 Last year, for some reason or another, we ended up not having a halloween costume for my 2 year old. Maybe it was the new baby, maybe it was that I figured we had loads of costumes, I’m not completely sure, but we ended up needing to throw a costume together in about 15 minutes. 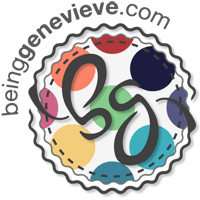 So here’s what I did. 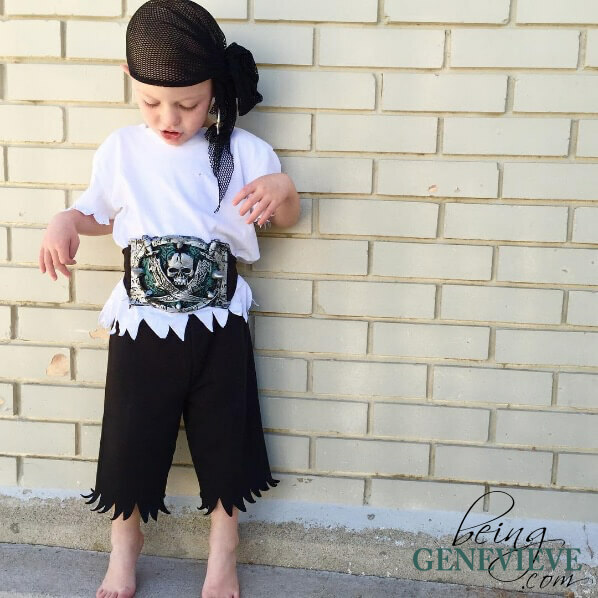 . .
Pirate Items- Belt or Red Strip of Fabric, Hat, Patch, etc. 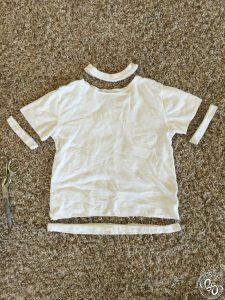 Begin by getting the shirt and cutting off the bottom hem and the seam of the sleeves. 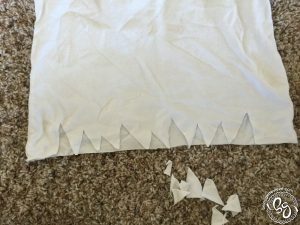 Now begin cutting a random zig-zag edge around the sleeves and bottom of the shirt. NOTE: Do not cut off the neck seam as I did! 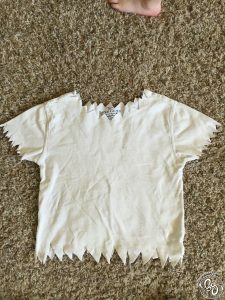 The neck of the shirt became much to wide necked for my 2 year old and I had to take a seam in it to keep it from falling off his shoulders. 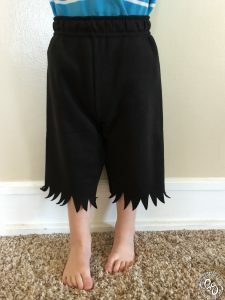 Now if you are using shorts, just do the same to the bottom as you did to the shirt. 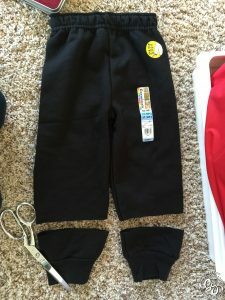 If you are using pants, like I did, I measured 4″ up and cut off the bottom of the pants. 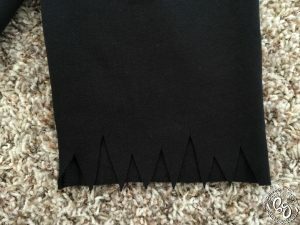 Then I cut the random zig-zag edge all the way around. Lastly I applied a little pirate makeup. I took an eyebrow pencil and made a wispy mustache and soul patch along with thickening his eyebrows just slightly. I then took red lipstick and made a quick stitch along one cheek. That’s it! I hope you enjoy your simple costume as much as we did.